Apple hasn't apologized for unpopular changes with its products. Samsung fires back by including the audio jack that Apple removed in its phones. The upcoming Galaxy S8 and S8+ re-maintain the audio jack and have also added a desktop dock. Last September, Apple had made a bold move by announcing the removal of the famous 3.5mm headphone jack from the iPhone 7 and the iPhone 7 Plus. The company justifies the decision with the desire to embrace progress. Headphones, as a connected device, are forced to adapt or perish when it comes to Apple. Despite initially announcing the removal of the 3.5mm audio jack on the Galaxy S8, Samsung has decided to go in the complete opposite direction. Progress is always a good thing, but so is cash! Apple, by removing the 3.5mm jack, may have created new streams of money, as iPhone owners are now highly incentivized to buy $149.95 wireless earphones. After all, who wants to keep buying $9.99 USD Lightning to 3.5mm audio jack adapters ever time the 3-inch long adapter gets lost? And it’s not a coincidence that Apple owns Beats, the number one Bluetooth headset maker, who is well ahead of LG, Bose, and Jaybird. While the new iPhone, rumored to be released September 12th, faces criticism for the removal of the 3.5mm audio jack, in the end, the decision might be justified by market prospects. According to a study by Gartner, high-end smartphones will no longer be equipped with a jack and wireless headphones will be the norm. With 150 million units to be sold in 2017 (48% of all wearable sales), Bluetooth headsets will increase to reach 206 million units in 2021, making them the most sold wearable through this period. If you’re looking for good wireless earbuds for exercise, for our money, one of the collared wireless Bluetooth earbuds seem to perform better than their standalone counterparts. 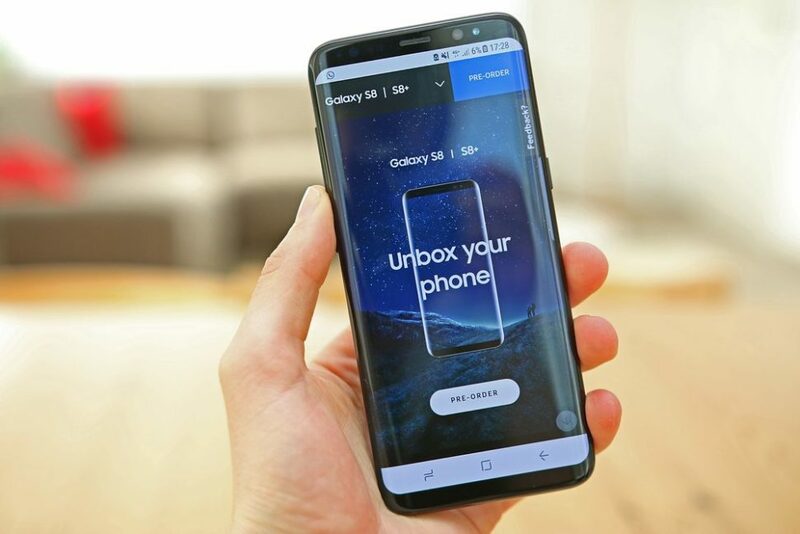 One of Apple’s biggest competitors, and certainly the competitor with the most tumultuous history, Samsung, has already unveiled its new Galaxy S8 and S8 Plus. This new phone is supposed to make us forget the flaws of the “explosive” Galaxy Note 7. Is a headphone jack enough to do that? The Galaxy S8 and S8+ come with bezel-less all-screen design, powerful specs, a desktop dock and, surprise, a 3.5mm audio jack! Weighing in at 155 g, the Galaxy S8 measures 148.9 x 68.1 x 8.0 mm, which slightly thicker than its predecessors. The S8+ (173 g) is 159.5 x 73.4 x 8.1 mm. The reason these new phones are bulkier than their predecessors is because of Samsung’s decision to keep audio jacks. Had it opted to follow in Apple’s steps (as it usually does–very closely) and remove them, it would have shaved off some of these millimeters and grams. If it had ditched the audio jack like Apple, Samsung could have also considered launching its own line of wireless headphones and selling them separately to create a new revenue stream. Instead, Samsung offers the new Galaxy with a $99 Pure Sound earphones by AKG included in the bundle, and a dual audio feature that allows streaming music to two Bluetooth devices simultaneously. Clearly, Samsung is playing it safe, making sure to fulfill its customers’ desires while also proposing useful developments. On the other hand, Apple is Apple, which is always forward-thinking. Take for instance the 2017 iPad Pro, which, if you were just looking at the specs page, the devices revolutionary new use of existing adaptive refresh rate technology wouldn’t be apparent to you. And if, to make tomorrow happen, it has to “force” its customers into adopting new habits that it thinks will be the norm, it will do it. That’s the key with Apple: they evolve their products and force customers to keep up. Samsung does what it can to keep up with customer desires. Would the lack of a 3.5mm headphone jack force you to consider a non-Apple smartphone? I hate it when smartphone manufacturers kill off the headphone jack! Whatever happened to “If it ain’t broke, don’t fix it”! ?